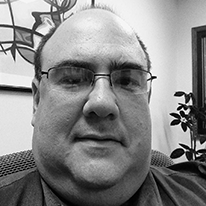 Sid has worked at LKCS since 1992 where he has held a wide variety of positions. Starting as a graphic designer, Sid has supervised LKCS’ design and pre-press teams before serving as a sales representative. He currently serves as LKCS’ Vice President of Business Development and is heavily involved with new product development and executive management. Sid has a passion for utilizing technology to enhance marketing efforts and gets excited by opportunities to develop new technology-driven products and marketing solutions. Sid writes on various marketing and technology topics. He also speaks on these topics at various credit union, bank, marketing, and technology conferences. Statement Processing You Would Endorse! Boring statements are just that – boring. What you need is a statement that endorses your message and sets your brand apart from the other candidates. Achieve Great Results with Multi-Channel Marketing! Account holders like to have the ability to choose what appeals to them, and multi-channel marketing gives them exactly that. With multi-channel marketing, your promotion or campaign uses several, specially selected channels that fit your needs and your account holders. Capture Attention with Variable Data Printing! Direct mail advertising shows a level of personalization and care that appeals to customers. It is this personalization and effort that really grabs their attention and keeps it. Web Services – Are you looking for everything but the kitchen sink? Open source CMS systems come with hidden costs and hassles due to frequent updates and patches that are often incompatible with third party plug-ins. And security is a huge concern with open source platforms. Use built-in templates to generate beautiful display content to promote your products and services, promotions, and events. Supplement that with LKCS-designed content packages to keep your merchandising fresh and timely. Incorporate news and sports feeds, weather forecasts, and more. Social media marketing provides some tremendous advantages. But, it also brings a number of significant challenges. 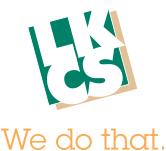 LKCS’ Social Media Management platform adds efficiency and mitigates some of the challenges and risks involved.